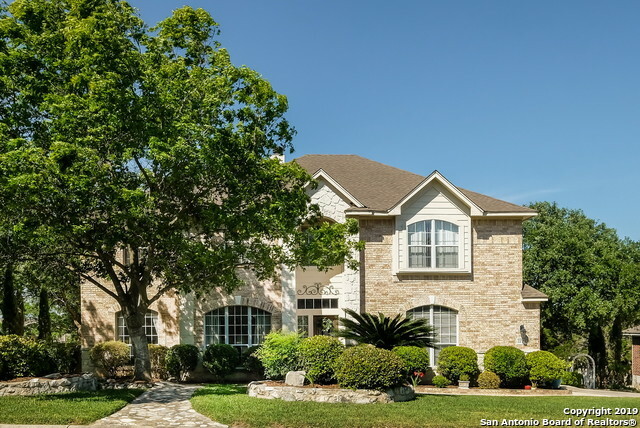 All ENCINO RANCH homes currently listed for sale in San Antonio as of 04/20/2019 are shown below. You can change the search criteria at any time by pressing the 'Change Search' button below. "Stunning two-story, open-concept family home in gated community w/ cathedral ceilings. 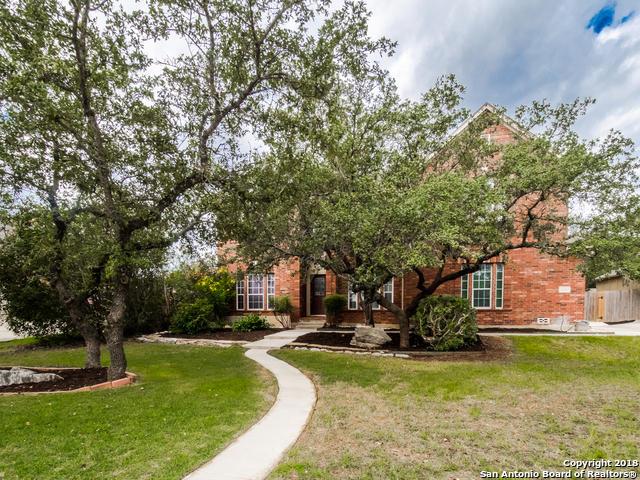 A taste of hill country on a flat .4 acre lot, covered patio w/ built in benches, majestic oaks viewed from every custom window. Spacious secondary bdrms w/ walk-in closets, mstr down. Newer roof and A/C units, recently remodeled kitchen with granite counters, stainless steel appliances, over and under counter lighting and adjustable lighting in main living areas. Professionally painted in/out. Top rated schoo"
"Top of the hill with stunning views of downtown. 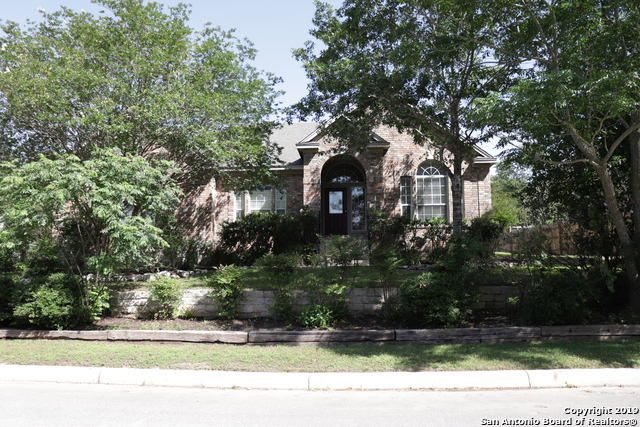 4477 sf, gorgeous woods floors, 5 bedrooms or 6 depending how you set it up! 3 living areas, room for everyone! Tons of storage, 20 foot ceilings, 3 car garage, bedroom sizes are nice and big, closets are huge the master and 2nd bedroom are down. Brand new 2 story deck to take in that view!! Great Schools. Gated neighborhood." "This immaculately maintained family home located in Encino Ranch truly has it all! 5 bedrooms 3.5 bath with an open floor-plan that has high ceilings, 3 living areas, fireplace, private dining & upgrades galore. Beautiful eat-in kitchen with SS appliances, gas cooking & an island. Spacious master retreat with amazing views and a spa like bath. Outdoor living offers a private porch, deck & a great space to relax under the beautiful oak tree while enjoying the huge backyard. New HVAC & Water heate"
"This beautiful single level home sits on a spacious elevated lot , nestled away in the quiet, gated community of Encino Ranch. Open concept design allows excellent flow throughout living spaces with oversized windows that flood the home with natural light. Master bedroom features a garden tub and separate shower with two spacious walk-in closets. NEW roof installed in late 2018. Hardwood floors, neighborhood amenity center with pool, easy access to highways, shopping, entertainment and TPC S"
"Location, Location , Location! Encino Ranch home with 4 bedroom, 2.5 bath, 2 car garage in over 3600 square feet. 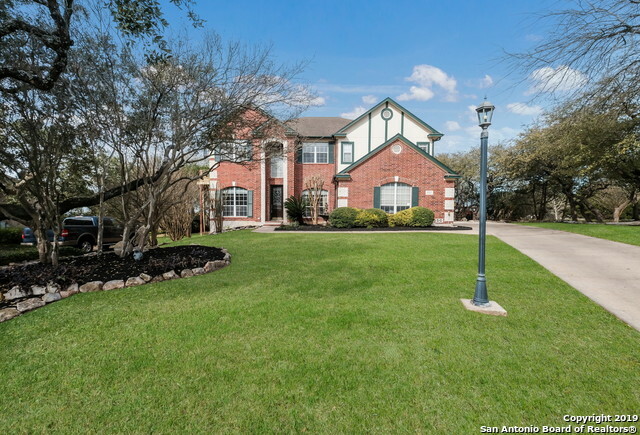 This lovely neighborhood is conveniently located close to shopping, medical support, and exemplary schools in the NEISD. Two living areas, 2 eating areas, study, and game room. 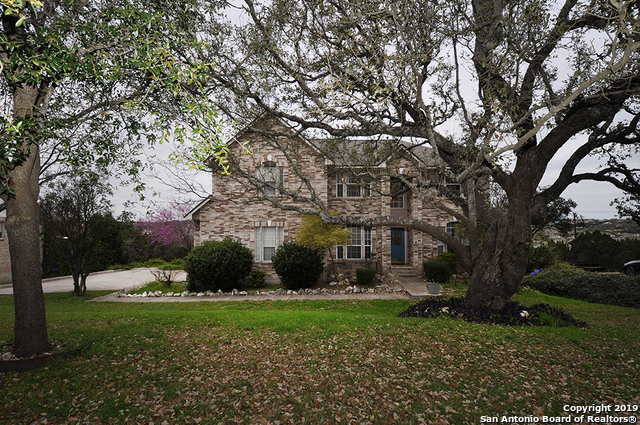 This home features beautiful mature oaks on almost 3/4 of an acre. Deck in back looks out on the tree filled back yard. Priced to update to your own designer taste." "2 story on 1/3 acres with 4 bedrooms and 3 full bathrooms. Bright & open floor plan w/formal living and dining. Wood floors in study, family room and formal living room. Kitchen has double oven range,lots of cabinetry, corian countertop & tile backsplash. Family room complete w/wood fireplace. Up the stairs to landing & loft!All bedrooms up! HUGE master bedroom, private bath with spacious shower & large walking closet too! Large covered patio. Downstairs bath is handicap accessible."